This e-voucher’s value is equivalent to the amount of €20 (euro currency) as displayed. 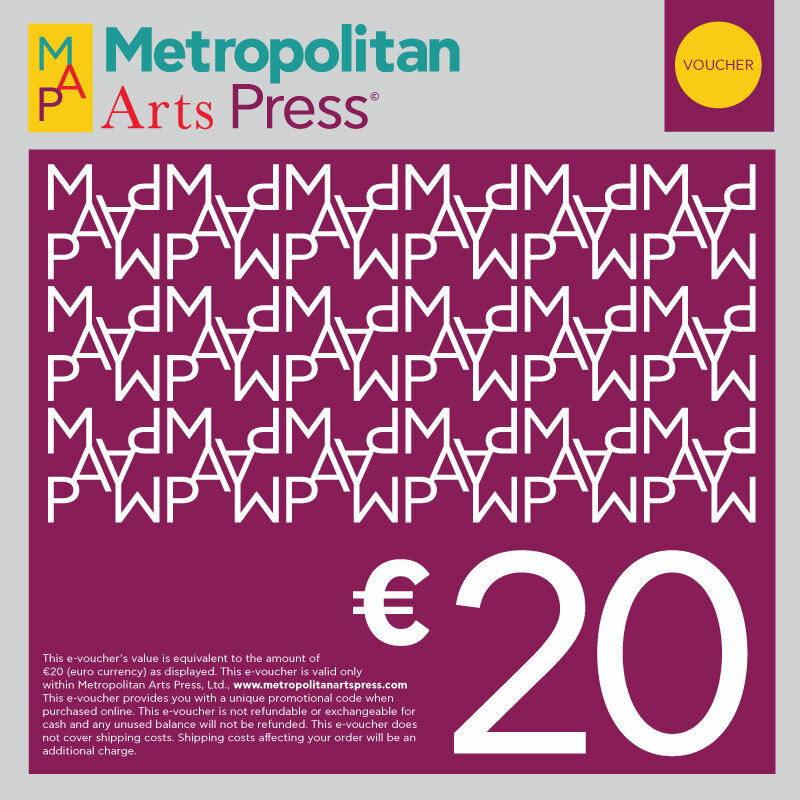 This e-voucher is valid only within Metropolitan Arts Press, Ltd., www.metropolitanartspress.com This e-voucher provides you with a unique promotional code when purchased online. This e-voucher is not refundable or exchangeable for cash and any unused balance will not be refunded. This e-voucher does not cover shipping costs. Shipping costs affecting your order will be an additional charge.